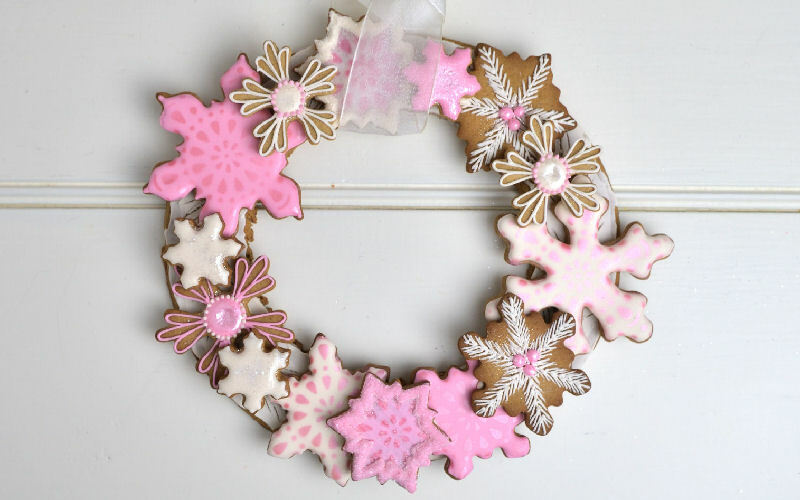 Snowflake cookie wreath has been on my to do list for as long as I can remember. Over the years I have accumulated so many different snowflake cookie cutters I’m not sure why haven’t created one sooner. I think I have at least 30-40 cutters, 2 full bins of them. Browsing online I constantly find new ones I’d like to add my collection. In my mind you can never have enough snowflake cutters! Are you with me?! So to make this happen I invited my friend Amber of SweetAmbs to collaborate. 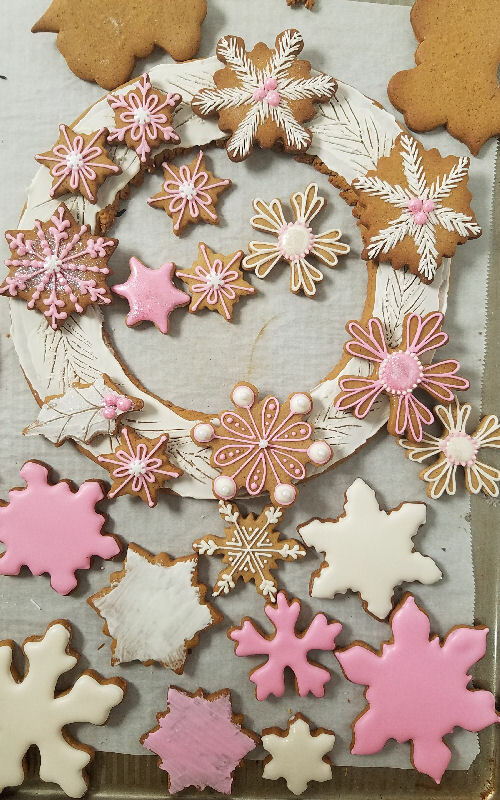 Amber chose beautiful colors : pink and cream and I picked the theme : Winter Wonderland. 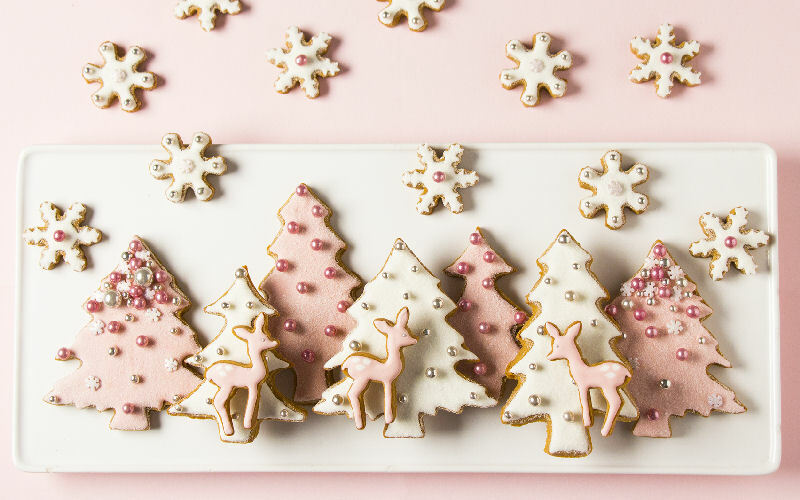 Pink and Cream Winter Wonderland. Magical. Flower like Snowflake Cutters are from AC Moore craft stores, I couldn’t locate those online but I i think you can easily use a daisy cutter. To make the wreath ring use a large plate and a knife or pastry wheel to cut it out and then use a small bowl for the center opening. Make sure you cut out on a parchment paper so you can easily lift it up and transfer it onto a baking sheet. Bake the wreath ring at 350F for 15-20 minutes. Technique I used to decorate the wreath ring is nothing new. 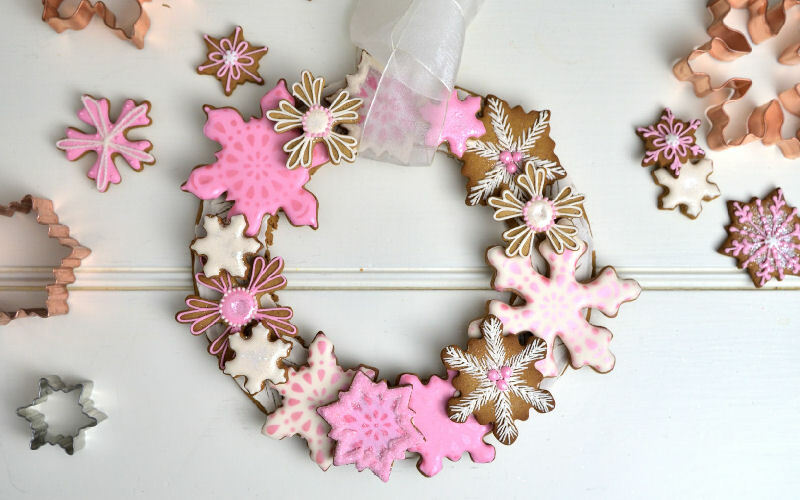 I’ve used a similar approach when making these Frosty Snowflake Cookies or frosty windows on Mini Gingerbread Bird House. 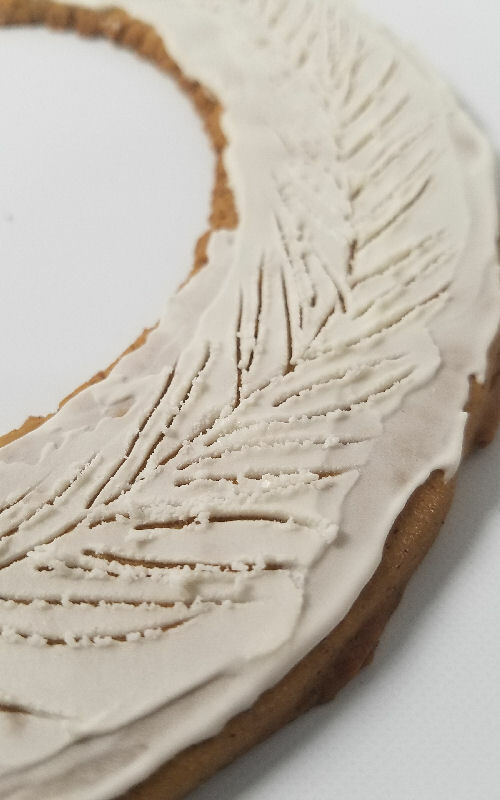 Spread medium stiff royal icing on the ring and then with a toothpick make the pine needles. Let dry. I used a variety of different cutter sizes. 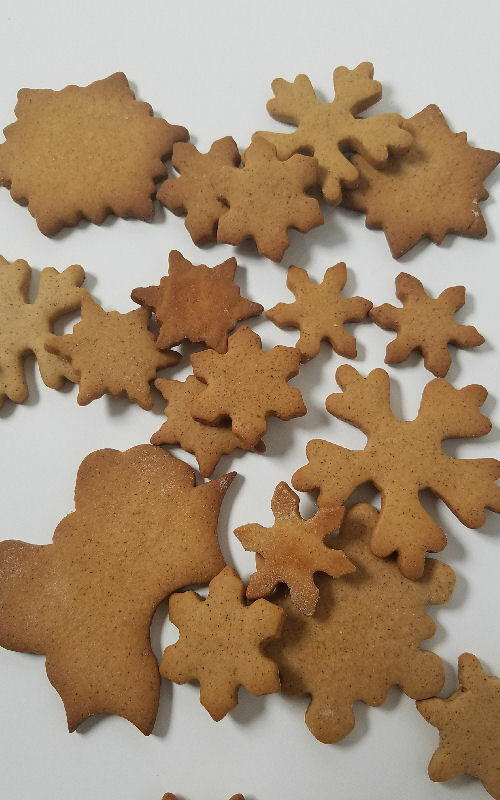 I also made few smaller cookies as fillers. They are great for filling the gaps between larger cookies, they work sort of like bridges. Amber created beautiful magical Winter Wonderland Cookie Scene. Visit SweetAmbs for a step by step tutorial and the list of tools you need.